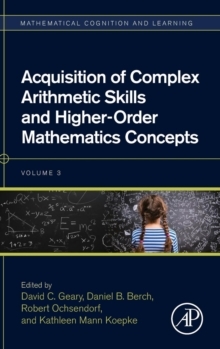 Acquisition of Complex Arithmetic Skills and Higher-Order Mathematics Concepts focuses on typical and atypical learning of complex arithmetic skills and higher-order math concepts. As part of the series Mathematical Cognition and Learning, this volume covers recent advances in the understanding of children's developing competencies with whole-number arithmetic, fractions, and rational numbers. Each chapter covers these topics from multiple perspectives, including genetic disorders, cognition, instruction, and neural networks.